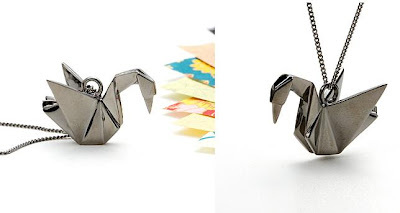 Collection of "Creative Origami Inspired Products and Designs" from all over the world. 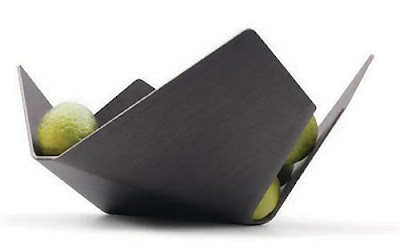 Origami Bowl: Inspired by the art of origami, this fruit bowl displays the fruits in between the foldings of the wood. 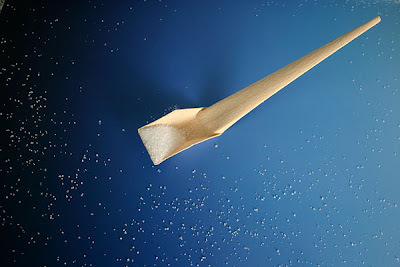 Origami Spoon: The origami spoon by designer M Sholk is bent from a single piece of thin material (paper, plastic, or silverfoil). 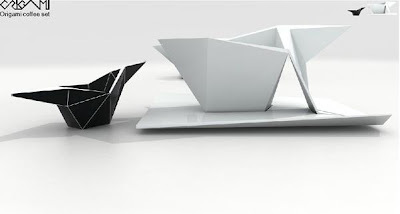 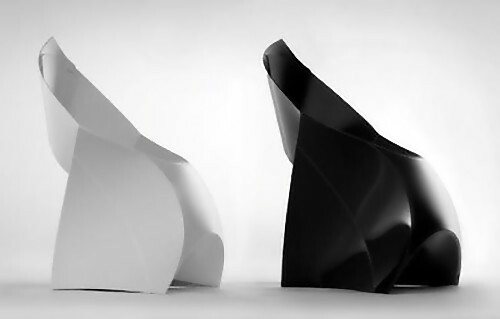 Origami Coffee Cup: Origami coffee set is created by designer Zwierzynski from Poland. 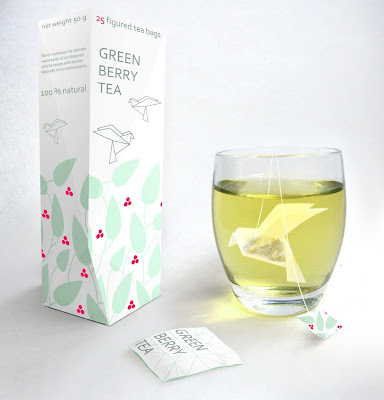 Origami Tea Bags: These creative tea bags packed like origami birds are by Russian designer Natalia Ponomareva. Origami Necklace: Designers Claire and Anaud recreated the art of Japanese paper folding with these silver necklaces. 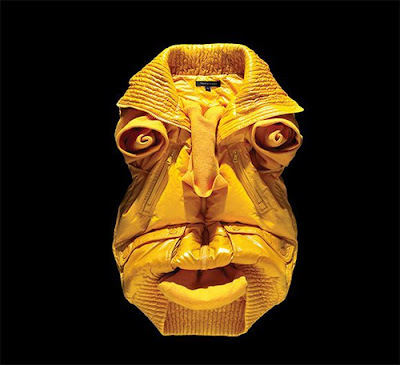 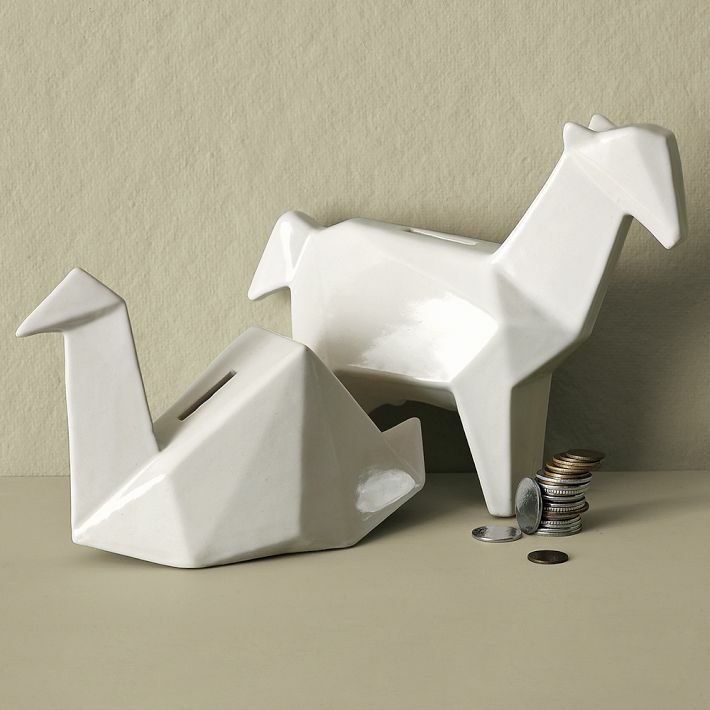 Origami Banks: These cool banks can also be used as a paperweight or sculpture. 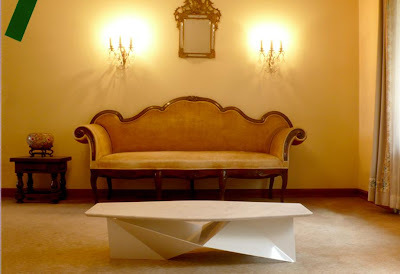 Fur Coffee Table: Its inspired by origami, the base is formed from a single sheet of metal while the top is made out of marble or granite. 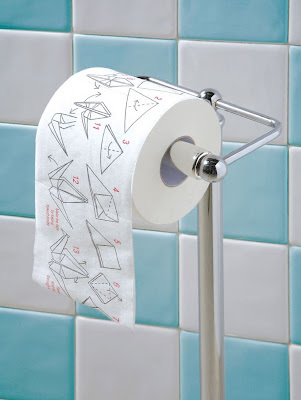 Origami Toilet Paper: This creative toilet paper comes with complete instructions on folding. 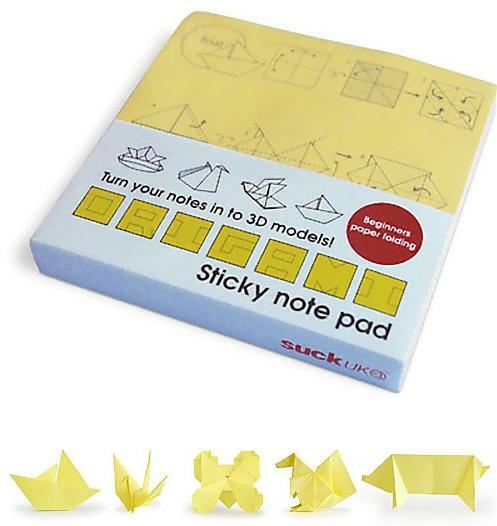 So with this you can spend time learning new and creative Origami techniques while doing your stuff in the toilet. 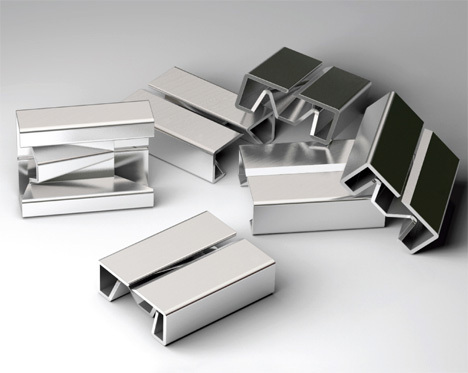 Magnetic Curtain: This curtain comes with magnets incorporated in its structure & you can shape it to any form & it stays in the shape you push & pull it to. 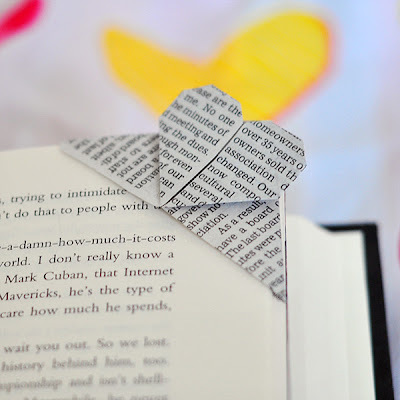 Origami Bookmark: Watch the video tutorial on how to create this cute bookmark origami. 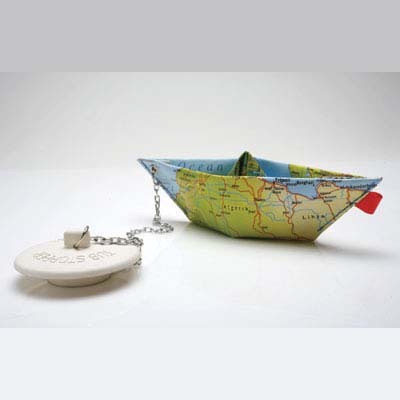 15 Creative Bottle stoppers and Cool Bottle stopper Designs - Part 2.